A loose-fitting long jacket, Fyanna features a variant on Horseshoe Lace with an angular arch. 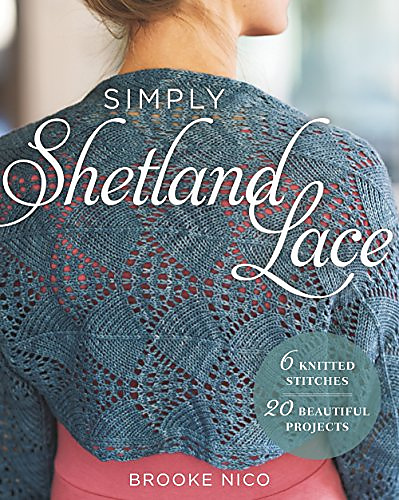 The color features a traditional Shetland mesh stitch. The collars can be worn with an inverted V, creating a dramatic (and slimming) effect.